Blended families, also called stepfamilies or remarriage families, are just one of many modern family types in the world. Discover research-based information that offers facts and information about various aspects of blended families. The U.S. government does not specifically collect data on stepfamilies. Some organizations and groups attempt to collect data, but their methods are often limited. While these statistics provide some insight into the intricate nature of blended families, they may not accurately describe all stepfamilies. While there isn't a lot of specific data on stepfamilies, Pew Research Center reports a generalized look at blended families today. For these purposes, a blended family is defined as any household that includes a stepparent, step-sibling, or half-sibling. Sixteen percent of children live in blended families. The number of kids living in blended families has been stable for nearly thirty years. Children of Hispanic, black, and white backgrounds are equally likely to live in this type of family. Children from Asian families are half as likely as Hispanic, black, or white kids to be part of a blended family. Six of ten women's remarriages create blended families. Every family is unique and so is its success rate. However, studies suggest about 60 to 70 percent of marriages involving children from a previous marriage fail. This is about twice the percentage of overall marriages ending in divorce, which sits around 30 or 35 percent. Part of what helps some stepfamilies be more successful rests on the children's perceived bonds with both parents inside the home. Adolescents who believe they have strong bonds with both their own mother and their stepfather in this type of family feel a greater sense of family belonging than kids who don't view both of these household relationships in a positive light. Allen Israel, PhD, a psychology professor of the University at Albany, says family stability and success "isn't contingent on whether you live in a first-marriage, stepfamily or single-parent family, but more particularly on the environment that parents create for their kids..." Establishing a positive environment, then, is more important than family type. In the past, divorce was frowned upon and so were those who chose it. Some say this stigma sticks with remarried parents still today as one of the pervasive problems blended families face. However, in a recent blended family research paper about three quarters of college students claim there is no shame in being from a stepfamily and believe millennials view these families differently than older generations. The formation of a blended family can have different effects on kids of all ages. Some may find the transition easy while others may struggle to find their place in the new family. While blended families may deal with mental health issues, so do all families. Research on family structure from Australia in shows children in one-parent, blended, and step families experienced a higher prevalence of mental disorders than those in traditional two-biological parent families. Some of these disorders include separation anxiety disorder, major depressive disorder, and conduct disorder. However, research on the effects of family structure on children's hospitalizations for mental health concerns shows roughly equal numbers of admissions for kids from biologically intact and blended families. Furthermore, a study on the effects of family structure on depressive symptoms in adolescents from military families showed no differences between different family types - as long as the youth felt connected and supported. It appears that strong family relationships can act as a buffer to some of the stressors that may cause more extreme emotional reactions. Kids who report closeness with their biological parent and stepparent at home tend to feel less stress during the transition to stepfamily life. When comparing academic achievement as it relates to family structures, kids living in first-marriage nuclear families tend to do better than kids in nontraditional families. However, these differences are usually small, and about 80 percent of stepchildren function well on developmental outcomes, including academic success. Because blended families appear to still be in the minority, little is definitive about their intricacies and impacts. 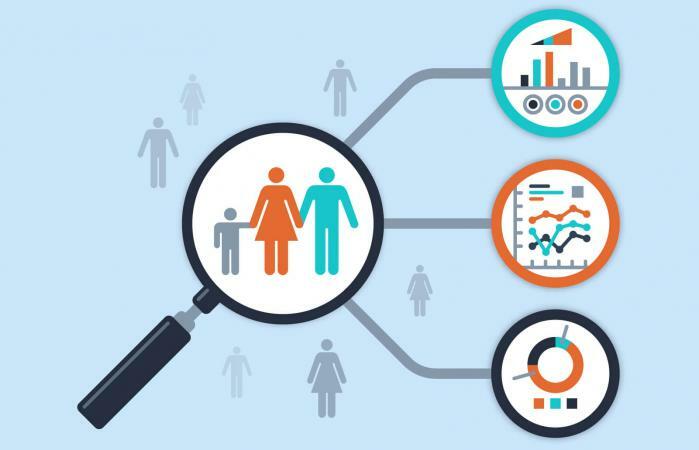 Although data and research is helpful in understanding some of these stepfamily aspects, it's important to remember that each person and family is a unique entity.